Seattle local William A. Herberholz is known for his tin sculptures. 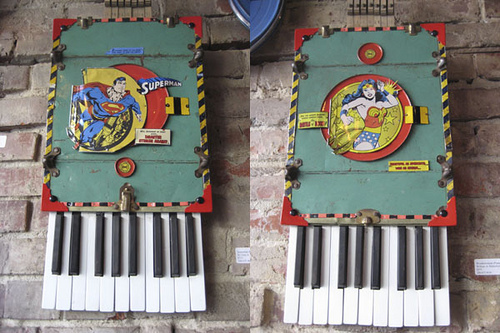 Here, he crafts Wonderwoman and Superman panels, laid on vintage piano keys. Just beautiful for the comic nerd or vintage art buff. Now on view at the Queen Anne Caffe Vita!